The latest round of the Community Building Grants is now accepting Applications. 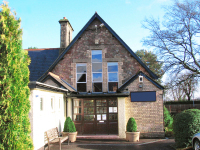 The community building grants programme provides funding to help improve the internal and external physical structure to community centres, meeting places and other community buildings. Eligible projects will benefit community groups and encourage promotion of additional use of the community facilities and must fit into the categories below. New kitchens or toilet facilities. The maximum Grant available for the 2013/2014 programme is £5,000. Groups that have previously received funding under the Community Building Grants programme may apply, however their applications will receive lower priority. The Community Building Grants Programme Leaflet and Strategic Statement 2013/2014 will inform you more about the scheme.